Nori, I have been a faithful reader of your site since you were 14 years old. It has been fun and interesting to watch you grow up in so many ways. You are not a girl anymore. You are a young woman. One can see photo evidence of how young you were when you wrote some of the pages on this site. The writing was "younger," too. 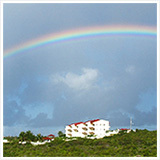 You literally grew up while writing this site, my favorite about Anguilla. And one can see how you have become more sophisticated over the years, with some of the features you have added to your site. But, I must say, this one takes the cake. What a fantastic idea! The Anguillian is an excellent newspaper. But it has no search. Nor does it invite others to contribute. I do not know how you did it, but I want to participate. I have just finished figuring out what RSS is and I added it (quite easily, I must say) to My Yahoo!, so I am now subscribed to your site (as well as your e-zine, of course). Expect the occasional commentary from me on this page, Nori. So much to write about, the island is bustling with news. Thank you for providing this page. I will tell my friends about this. We all visit the island once or twice a year, as a group. I hope to have useful observations to add from time to time! 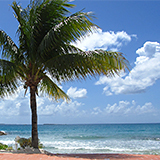 Glad You Like The Anguilla News Page! Hi Gene, Thank you so much for those kind words. To answer your question, I asked my Dad if I could use his software to create a Web site on Anguilla back in August, 2002. So it's been almost 6 years.